Slow Cooker Curried Lentil Soup. An EASY flavorful lentil soup recipe seasoned with turmeric, ginger, cardamom, cloves, cinnamon, and coconut milk. Since January has been filled with more days in the negative digits than I can count on two hands, I decided it was high time that I share another delicious, hearty soup recipe with you. 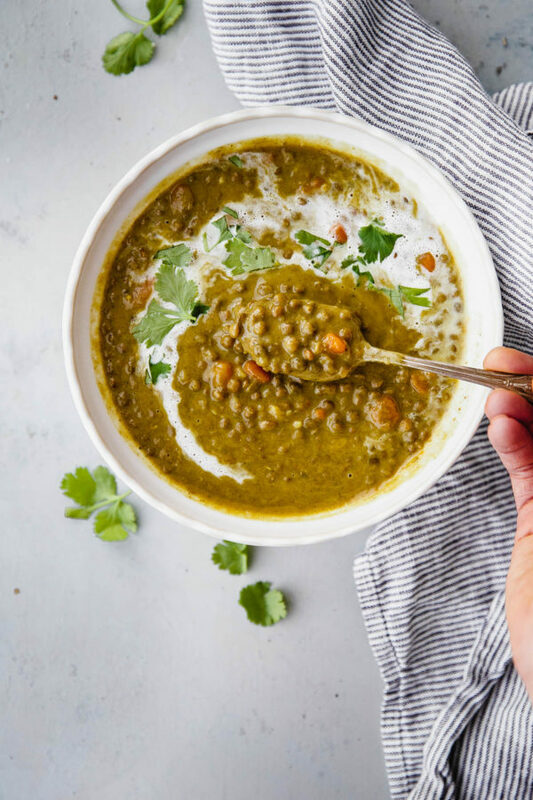 And not just any soup, an incredibly flavorful and nutritious slow cooker curried lentil soup that will make you want to curl up on the sofa under a good blanket. I love this one so much that I’ve been making a habit of throwing a batch together at the beginning of each week. It heats up beautifully and can hold me over for hours (aka. it ensures that I don’t get hangry and snack on everything in sight!). 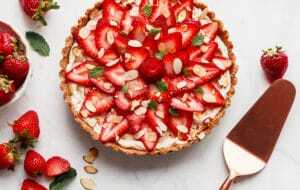 You’ve been consistently asking for more slow cooker recipes without fail every year and always offer an overwhelmingly positive response each time that I do. Thank you! 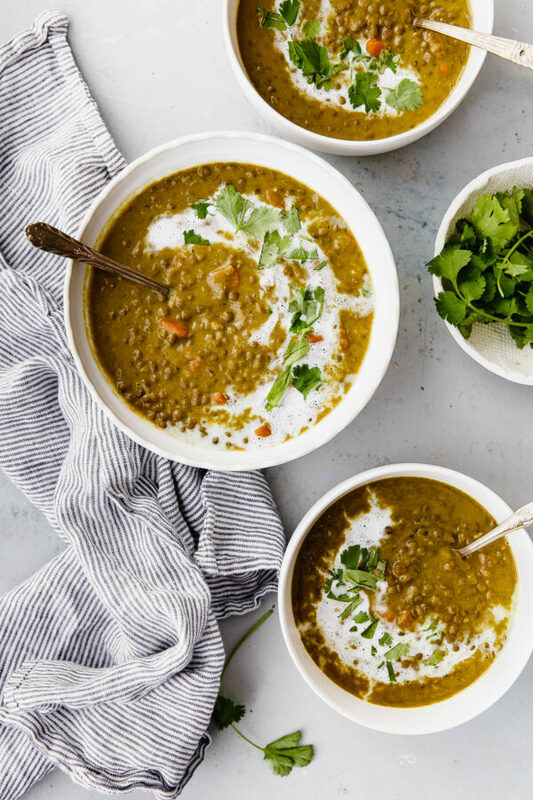 I hope this curried lentil soup will satisfy all of your winter soup cravings and allow you, even on the busiest of days, to put a delicious home-cooked meal on the table with more ease. The foundation of any great soup recipe starts with a high-quality broth. I generally prefer to make soups with chicken broth, because the flavor offers a wonderful, rich canvas on which to build and add flavors. 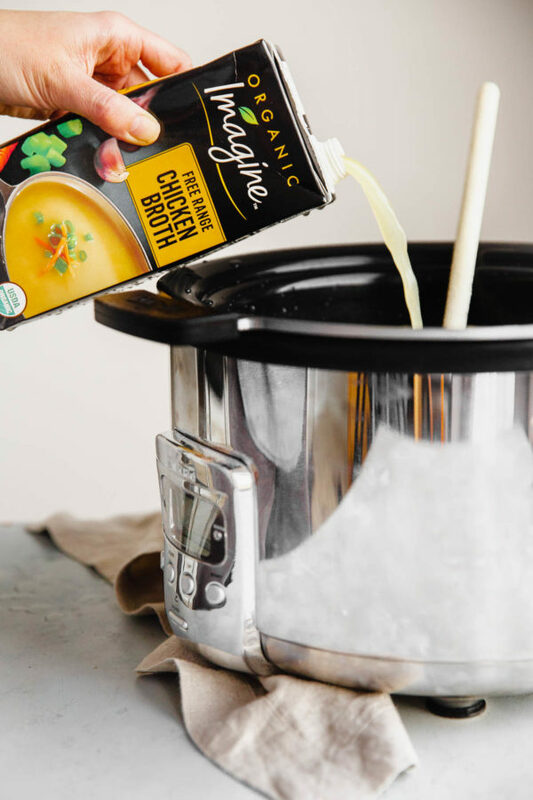 For this recipe, we’ll be using one full quart (4 cups) of Imagine® Organic Free Range Chicken Broth. Sourcing responsibly raised and organic meat-based products has always been a high priority for me and these broths are top of the line. Even more noteworthy, Imagine® chicken broths have received a Global Animal Partnership Step 3 animal welfare rating. I’ve been familiar with their line of products for some time, but became a regular convert when I completed Whole30 last year. You’d be shocked to find that even seemingly good-quality store-bought broths usually contain an excess of ingredients (aka. cane sugar or ‘flavorings’). 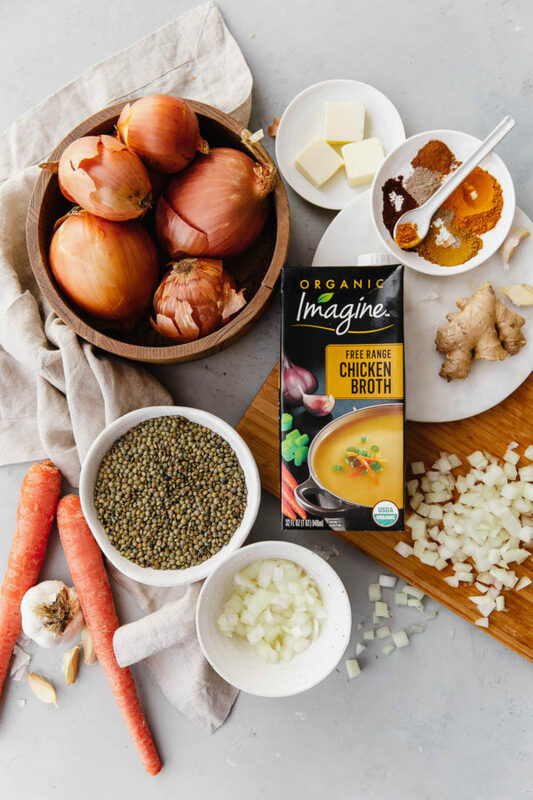 Imagine® chicken broth is made with real, wholesome non-GMO ingredients including organic, free-range chicken, organic farm-grown vegetables, and a delicate balance of savory herbs and seasonings. Their products are made with ingredients that I feel proud to use in my kitchen. 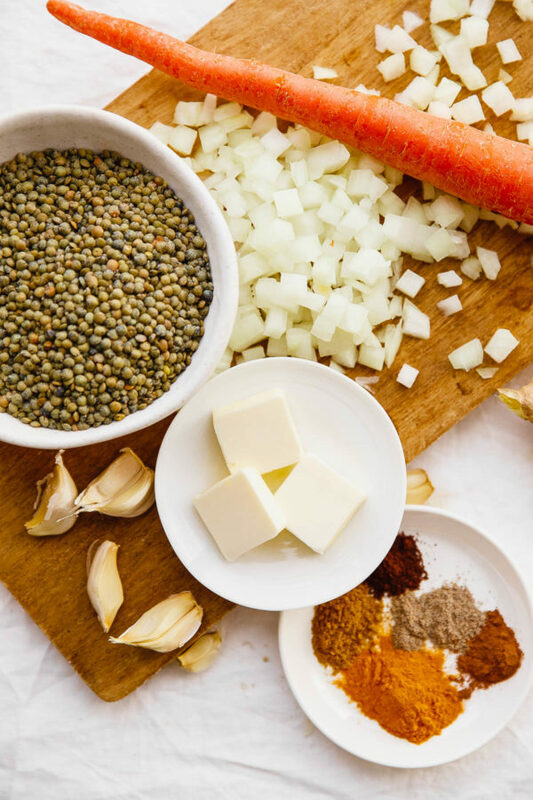 The heartiness and heft of this curried lentil soup comes from typical soup aromatics, including onion, carrot, garlic, and ginger, and my favorite French green lentils. Sometimes called puy lentils, these lentils hold their shape once cooked, making them an ideal lentil for slow cooker or crockpot preparations. 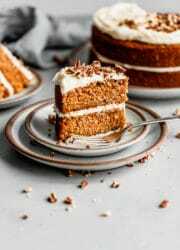 The incredible flavor comes from a combination of warming spices, including curry powder, turmeric, cardamom, cinnamon, and cloves (yep, these aren’t just baking spices!). It will make your kitchen smell fantastic. It is worth noting that this soup will be very loose once you first combine the ingredients in the slow cooker, but as it cooks over low heat, it will transform into a hearty and thick stew. 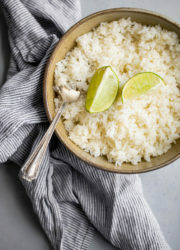 Just before serving, you’ll stir in generous pour of creamy full-fat coconut milk and a light squeeze of fresh lemon juice. 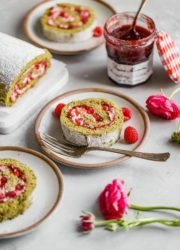 The coconut milk adds fantastic creaminess and the lemon juice, while seemingly insignificant, rounds out all of the flavors. This might be my favorite slow cooker soup creation to date! I hope you love it as much as I do. 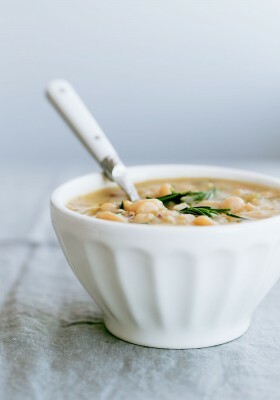 If you’re looking for more easy soup inspiration, try this slow cooker cannellini bean soup or this crowd-pleasing slow cooker winter vegetable soup. Slow Cooker Curried Lentil Soup. 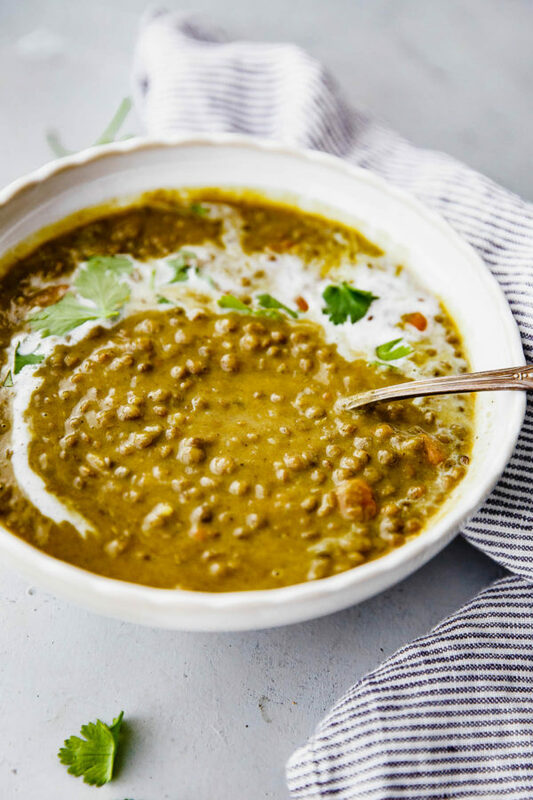 An EASY flavorful lentil soup recipe, which can be made in a slow cooker or crockpot, is infused with turmeric, ginger, cardamom, cloves, cinnamon, and coconut milk! A delicious hearty soup that makes great leftovers. 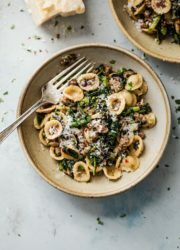 If you do not have a stove-top safe slow cooker insert, simply start this recipe using a large non-stick skillet and transfer the ingredients to the slow cooker once you have completed step 2. Using a 4-quart capacity (or larger) slow cooker, heat the butter in a stove-safe slow cooker insert over medium-low heat until melted and just beginning to sizzle. Add the onions along with the salt and pepper. Sauté for 4 minutes, stirring frequently, or until the onions begin to soften. Do not allow them to gain color. Add the carrots and continue cooking for 2 to 3 minutes more or until just beginning to soften. Add the garlic, ginger, and ground spices and sauté, stirring constantly, for an additional minute or until very fragrant. Add the lentils and chicken broth and stir to combine. 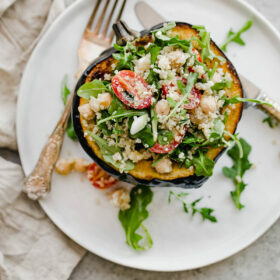 Cook over low heat, according to your slow cooker manufacturer's directions, for 7 to 8 hours, stirring occasionally if possible, or until the soup has thickened considerably and the lentils are cooked through but still retain their shape. Just before serving, stir in the coconut milk and lemon juice. Season to taste with salt and pepper and serve immediately. 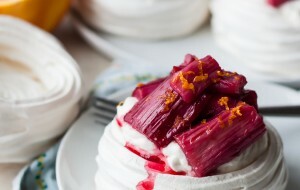 Garnish with a drizzle of coconut milk or spoonful of yogurt and cilantro leaves as desired. Leftover soup can be stored in a covered container in the refrigerator for up to 5 days. The soup is very thick once chilled completely. To reheat, add a splash or two of chicken broth or water to the soup, stir to combine, and place over low heat, stirring occasionally, until hot. Wow, this looks really good! I usually don’t flavor lentil stew this way, am really looking forward to trying it. And I’ll look for that Imagine broth, have never tried it. Your curried lentil soup is absolutely scrumptious and is my go to “fast food” soup dinner. I have made it for years and we never tire of it. Now I need to buy a crock pot to make it even easier. Yay! That means a lot Carol! Thank you! 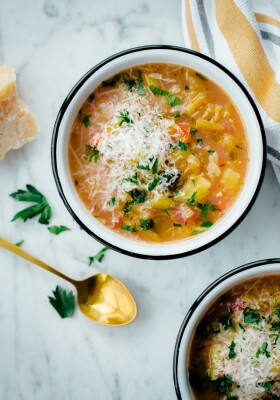 We are smack bang in the middle of sweltering summer here in Australia, but I can’t wait for winter now so I can cook up batches of this soup for lunches and dinner! I can already tell this is going to be my new favourite lentil soup this year! You’ve given me the perfect reason to finally cook with lentils. Gorgeous as always Laura! Thanks Heidi!!!? Also, thank you so much for including it in your Friday Faves. Means a lot! Happy birthday!! 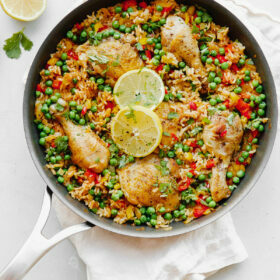 love the Indian flavors here, say this on Foodiec. and had to check it out since I’m eating a lot if legumes these days, but have run out of recipes! Lentil soup, the basic one, that everyone makes is all I have in the lentil category, so thank you very much for this recipe! Can this soup be frozen? I love to make soup and then hand out when children or friends stop by! This sounds wonderful! Yes! Sorry for not responding sooner. I haven’t personally frozen/defrosted it, but there is no reason why it wouldn’t work well. It will be very thick once chilled, so I recommend defrosting it sooner than you might other soups. I would also add a bit more broth during reheating if you’re not serving it right away. How would you adapt this for stove top cooking? 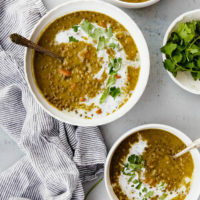 This recipe is very similarly flavored and is made on the stovetop: https://www.abeautifulplate.com/green-lentil-soup-with-coconut-milk-indian-spices/ Hope this helps! Yes! I’m sure it can be, but unfortunately I haven’t tested this particular recipe in an instant pot yet, so I can’t share specifics. 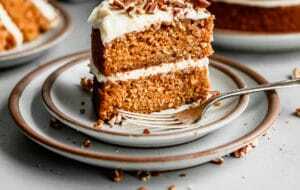 I know that liquid quantities generally need to be changed going from slow cookers to Instant Pot, and spices can taste differently in Instant Pots. Maybe reduce the broth slightly and try 12-15 minutes? However, I just want to be upfront and say that I can’t say for sure how well it will turn out.